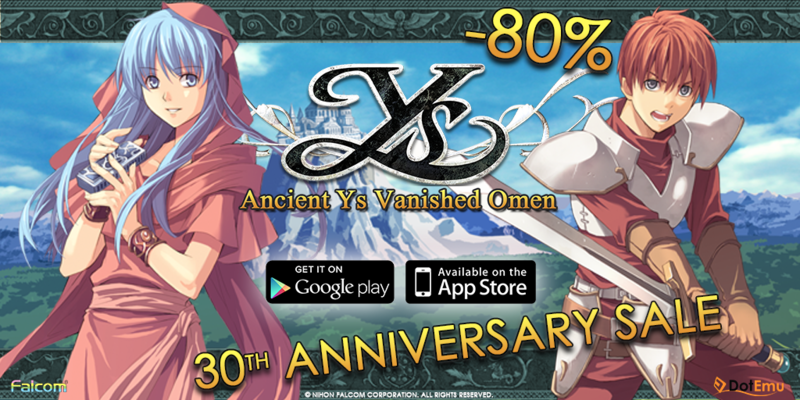 To celebrate Ys series 30th birthday, we offer you a special discount on Ys Chronicles 1 on IOS & Android, the remake of Ys I: Ancient Ys Vanished, first game in the series released in 1987. This discount is available until Wednesday 28th, so don’t miss this opportunity! Esteria’s people is waiting for you to defeat the demons who lay siege on their kingdom!